Time is precious. We only get a limited amount of it every day. 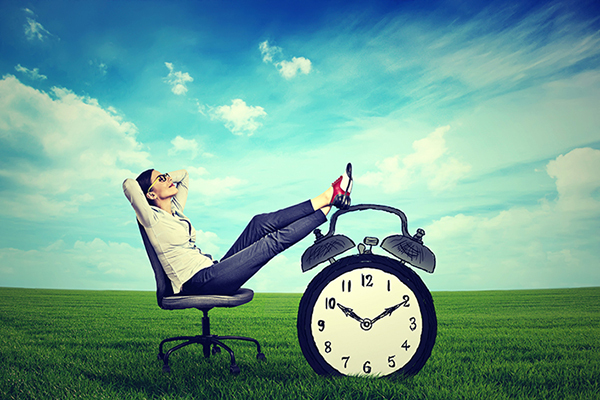 So why is it so challenging for us to prioritize and effectively manage our time? Certainly, there are better ways to be productive. To learn how to become more organized and better with time management, I talked with Bethanne Kronick, owner and CEO of Simplify Northwest, about how to prioritize tasks, get through email more efficiently, and ensure meetings are useful and productive for all involved. Here are some of our suggestions. Figure out what kind of calendar and scheduling tools work for you. Not every planning tool will work for everyone. Some people prefer to keep all their schedules digital or on paper, while others like a mix of both. The medium doesn’t matter so long as it’s something you will actually use regularly. Block out time by batching similar activities together. If you have a say in scheduling meetings, leave some time between them. Allow employees to debrief and collect their to-do lists and action items from one meeting before rushing off to another. And sending out agendas before meetings can help them run on time. If you can work from home or somewhere else outside the office, schedule “out-of-office” time for buckling down on more time-consuming projects. Lately, I’ve found it helpful to break some of my days in half, spending mornings in the office and afternoons working from home. That way, I can have meetings first, and people can find me for any last-minute needs. Then, I get to spend the second half of the day with my head down, working harder on projects that require my full attention. I block that at-home time off on my calendar so my colleagues know I won’t be responding to them right away during that time. It really cuts down on interruptions and distractions, and it ensures that I keep some time for my own projects. Can’t work from home? Kronick suggests finding an unused conference room in a quiet part of the office. Don’t let email control you! There are numerous strategies you could try for managing your inbox. You could set certain blocks of time—maybe two or three each day, or, in more customer-service heavy roles, one per hour—to check email, instead of refreshing it constantly. The frequency doesn’t matter so much as setting a routine so you don’t live in your inbox all day long. You can communicate this to your team and your customers to keep them aware of your schedule and manage their expectations for your responses. Try to gauge whether an in-person conversation or email exchange is better for the topic at hand. Kronick’s rule of thumb is the three-volley rule: “If an email has gone back and forth more than three times trying to get an issue resolved, it’s just so much easier to pick up the phone or go talk to somebody face to face.” Keep track of the efficiency of your conversations so you know when to walk away from your keyboard and finish the chat in person. Start your email subject line with a directive. Kronick likes to use specific terms to start email subject lines when she’s asking for something. Words like “request,” “reminder,” “FYI,” and “urgent” give the recipient a rough idea of the nature of the email. If something is time-sensitive, include that in the subject line as well. It helps people keep track of their requests. Manage your time spent on social media. Social media is a given in most workplaces nowadays, but it shouldn’t burden your day. Kronick encourages the use of timers so you know exactly when to close the tab and work on something else. She also recommends adjusting notifications on your phone so it’s not buzzing and distracting you all day long. Instead of splitting your attention between multiple things, separate your time so you can give each task your full attention. When we multitask, Kronick says, it takes us longer to complete tasks, we’re more likely to make mistakes, and our short-term memories suffer. It seems counterintuitive, but multitasking puts stress on our brains that ultimately reduces productivity. Whether it’s a day off, a weekend away, or a lengthy vacation, it’s important to plan time away. If we don’t put those on our calendars, Kronick says, it’s easy to forget and work straight through them. She suggests doing this with exercise and daily personal duties, too, to make yourself a priority. To maximize your time and energy, you have to take care of yourself. The truth is, you can’t really be productive if you’re overly tired or working too much. Get enough sleep, eat nutritious food, exercise, and take breaks. Be kind to yourself!